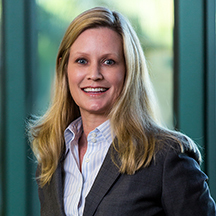 Cheryl Hastings is a shareholder of the firm and has practiced law in Southwest Florida since 2002. Cheryl’s practice is focused on the areas of residential and commercial real estate development and finance, including mixed use and water-front projects. Cheryl also has extensive experience in representing landlords and tenants in commercial leasing, representing contractors and owners in the preparation and negotiation of construction contracts, representing developers and associations in the preparation of homeowners’ association documents and the creation of residential and commercial condominiums. Cheryl counsels condominium, cooperative, and homeowners’ associations, including those which are both developer and unit owner controlled, on issues related to financial operations and application of covenants. Cheryl has obtained an AV rating from Martindale Hubbell. Represented the developer in the development, leasing, condominization and sale of a complex urban mixed use project located in Naples, Florida. The project consists of wet slip condominiums, retail and restaurant space, hotel, and residences. Represented the developer in the development, leasing and condominization and sale of a 16-story mixed-use building located in downtown Sarasota, Florida. Represented a national developer of condominium and homeowners’ association projects throughout the State of Florida. Obtained HUD Advisory Opinion with respect to combining exemptions under the Interstate Land Sales Full Disclosure Act. Assisted co-counsel in registering projects with the U.S. Department of Housing and Urban Development, Office of Interstate Land Sales and preparing Statements of Record to be filed with HUD and the Property Reports to be given to prospective purchasers. Represented landlords and tenants in the preparation and negotiation of commercial leases. Represented developer clients in mass condominium unit closings. Handled claims under title insurance policies for major Florida title insurance underwriter.